Part two: the results of three new studies for the purpose of exploring the feasibility and effectiveness of using apps to promote learning among preschool and early elementary aged children. Part three: details the implications these findings have for industry, education, and research. 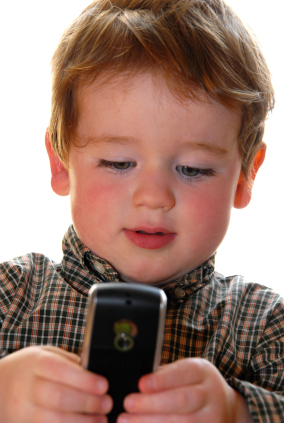 Of particular interest is the question, “Can young children learn from mobile applications?” Researchers utilized a pre-and post-test methodology, and noted that children gained literacy skills (specifically vocabulary and phonemic awareness) through the use of two specific apps designed for this purpose. All three studies suggest that parents play important roles in shaping the quality of their children’s experiences with mobile devices. When it comes to smart mobile devices, many parents do not yet view them as potential learning tools — especially when compared to other technologies like computers and the Internet — and thus restrict how their children use them. The report also outlines recommendations for the education sector. Researchers recommend that apps should be used as supplemental tools to the existing curriculum, and not replace other types of learning in school and at home. However, it is encouraging to note that educational apps do reinforce specific skills, especially if they are linked to specific content that a child is learning in school and at home. Their recommended design principles for industry are also important for companies developing apps for learning. It is critical that developers ensure that educational apps are based on sound pedagogical research. Design principle No. 1: Create apps that are developmentally appropriate. Design principle No. 2: Create apps that sustain children’s interest and learning. As with any published research, it is important to know who is behind it. Joan Ganz Cooney was one of the founding members of the research team who’s work lead to the creation of Sesame Street and has had an incredible impact on the design of new media for children. For more information on the Joan Ganz Cooney Center, have a look at this overview video below. derived, giving you the entire groundwork for your small business marketing plan. merchants on affiliate’s pages. This type of training will give you the proper knowledge so that you can make your mark in this very competitive industry.